Vion is part of the relevant supply chain that produces meat: a nutritious protein for the global consumer. High quality protein foods are essential for the growing global population. Vion takes its responsibility to realise the highest quality of its processes and products. Transparency, food security, food safety and sustainability are crucial elements of the Vion supply chain standards. It is obvious that Vion cooperates professionally with its partners in the supply chain being feed, primary produce, processing, retail and foodservice. That is why Vion fully supports the common approach of Good Agricultural Practices (GAPs) in the supply chain of animal production, instead of focussing on single issues. Organising our food supply chain on a global level in concert with our partners must be the leading principle. 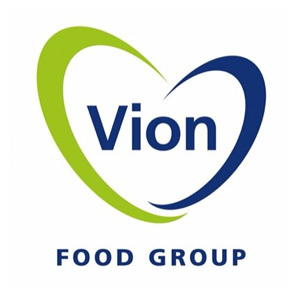 Vion Food is a Dutch food company which operates internationally. In 2013, Vion reported a turnover of € 7 billion. Vion is not listed and has one single agricultural shareholder, the Dutch Southern Agriculture and Horticulutre Organisation (ZLTO), which has approximately 10.000 members. The product portfolio of Vion Food’s core activity comprises fresh pork and beef, a diverse range of convenience food products, and a wide range of consumer products. These are brought to consumers via the retail, foodservice, and industrial markets. Vion Food has slaughtering, processing and production companies for consumer products in several countries. The Netherlands and Germany are Vion Food’s home markets. From the perspective of Corporate Social Responsibility (CSR), Vion is constantly striving for the right balance between people, planet and profit. Steering towards continuous improvement and cooperation in the agricultural food chain is essential in the supply chains where Vion is active.